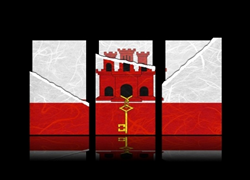 Gibraltar has a very unique legal status that gives them a number of advantages for site operators and software vendors that other areas of the world have a hard time matching. They are a part of the European Union while also having a certain connection to the United Kingdom in terms of maintaining the common law of Britain, though they aren’t controlled by the UK. The end result is a very competitive tax rate that a lot of online gambling companies are drawn to. As a result, the Gibraltar online gambling licensing process is pretty strict because they have to protect their interest in the business. The Licensing Authority of Gibraltar is the governing body that determines if an operation is good enough to get a license. Along these lines, they break up license types into seven different groups: bookmakers, betting intermediaries, gaming operators, gaming machines, lottery promoters, pools promoters, and remote gambling. Each type of license is designed for a different type of gambling operation, and they have more classes of license than most other licensing jurisdictions because they put a lot of effort into grouping similar industries together. The Gambling Ordinance of 2005 is the main legislation that governs the industry there, and it requires them to group these types of operations together in an effort to protect the industry. The point here is that they realize that not all operations have the same requirements, so they don’t want to revoke a license for one company for not meeting requirements that are really irrelevant for that particular type of business. On the other hand, they also don’t want to be in a situation where they grant a license to a company even though they don’t meet certain guidelines that would be key for that particular niche of the industry. By having several licensing types, they’re able to classify business more accurately and offer licenses that meet their exact needs. One of the ways that their licensing process helps to protect players is that it forces software developers and betting operators to verify the ages and identities of players. On top of that, it also requires that resources be present for people with compulsive gambling habits to get help. It’s very important to the Licensing Authority that the Gibraltar online gambling licensing process has a positive effect on the integrity of the business becaue of two main reasons. First, it’s the right thing to do. Second, it will hurt their profits if they were found to allow operators to prey on people who have issues with problem gambling. This is a great example of self-interest creating reasonable regulatory guidelines within the industry. The online gambling world is well-known for policing itself, and the simple fact of the matter is that there’s more money in protecting underage and problem gamblers than in offering “rubber stamp” style licenses that allow shady operators to exploit people who do not need to be gambling.